Traditionalism and idealism: is Labour's refusal to disregard the past for the future crippling their progression on the Scottish Referendum? Flickr/Tom Parnell. Some rights reserved. Beyond the posturing, allegations and counter-allegations of recent days on the vexed subject of the pressure group Labour for Independence and its legitimacy, there are a series of important and often unexplored questions that tell us much about Scottish politics. Why does Labour, ostensibly “a non-nationalist, non-unionist party” , so preclude not only any consideration of independence, but so firmly, trenchantly and aggressively, a rejection of it? The answer is complex and can be found deep in the history and evolution of British and Scottish Labour. It is about the idea of ‘Labour Scotland’ (which some present day Labour politicians seem to be unable to comprehend as distinct from Scottish Labour) and its relationship to ‘Labour Britain’. It is about how Fabian socialism became an ideology of the British state and one which saw the British state as the main instrument of its policies and practices. But crucially, it is about how Labour, which has through the ages proclaimed itself as a party of the future and creating the future, has been historically and contemporaneously shaped, defined and even a prisoner of the past. Labour is a party, a mindset and way of thinking that has been anchored and grounded in the past. It has from its creation as the Labour Representation Committee (LRC) in 1900, and the party’s formal adoption of its nominally federal structure, aims and values (the famous ‘Clause Four’) been in its inner culture, what Henry Drucker calls in a penetrating study, its ‘ethos’ . This past is a strange, almost Dickensian world, one of grainy images, black and white pictures, of powerful industry and working men. It is one shaped by lots of defeats and humiliations: Tolpuddle, Taff Vale, the General Strike, but even more profoundly, by memories and practices of exploitation, injustice and degradation of humanity, alongside the transformative power of solidarity. Labour’s concept of the world from its inception has been framed by this mostly idealised dystopian past and by the redemptive power of collective action. This is a place of ‘them’ and ‘us’, where the good people of solidarity, compassion and idealism stand against the bad people of exploitation, bad employers and asocial capital (the rentier class, monopoly capital, etc.). Into this, Labour’s understanding of the SNP, Scottish nationalism and the Scottish dimension falls . Labour historically has always caricatured its opponents. It has portrayed Tories with a lack of nuance, depth or real understanding through the ages: as spivs, speculators, the landed gentry and the deferential working class. And it is this outlook which informs its understanding or more accurately its lack of understanding of the SNP. For sure, Labour’s entitlement culture and its propensity to see Scotland as in some way elementally being theirs, ‘our Scotland’, ‘our Scottish Parliament’ in a manner similar to the mindset of ‘our NHS’, is a world of possession and ownership, which fundamentally matters and one I have written about extensively . Yet I think something more primordial is at work. And that is that the entitlement culture – the sense of ‘our Scotland’ and sheer affront at the bare-faced cheek of those pesky separatists – is driven by this deeper set of dynamics about an idealised past; a world of ‘them’ and ‘us’ and good and bad. In this perspective, in this Manichean world of good and bad people, where exactly do the SNP fit in? Labour people have consistently believed that the SNP doesn’t understand the wider cause of labour, of issues such as employment and labour rights, and this isn’t all entirely self-delusion. From the view of inside Labour, numerous people stood for the good causes down the years: Labour activists and campaigners, trade unionists, people in the wider labour movement and community groups. And while individual Nationalists could be part of this noble calling, the cause of organised, official Nationalism was at best ambivalent on the issue of justice, or at worst colluding with the forces of injustice, and nothing but ‘tartan Tories’. There was a crucial British dimension to all of this. There once was in the ‘Labour Britain’ account, a popular people’s story of these isles, which was a bit over-romanticised and uncritical of the Whig account of history and progress. This was in part the Labour vision of a future: fairer, more egalitarian, shaped by solidarity and, that problematic concept, brotherhood. Yet this ‘Labour Britain’ was shaped by the past: the injustices, the wrongs to be righted and the sheer damage done to working people by industrialisation, enclosure and unfettered competition. This was always a delicate balance between these two forces, past and future. At some point after 1945 Labour began to buy into the official Whig version of Britain too much, and to believe that the British state, unreformed, the focal point of imperial power, and the product of elite, pre-democratic forces, could somehow be transformed without structural change, into a force of enlightenment, uplifting working people. This is after all the account of ‘Labour Britain’ between 1945-79 – of thinking that Fabian socialism, or more accurately benign expert-led administration, could be brought about in a pre-democratic state without any overt process of democratisation. This turned out to be a colossal misjudgment on every level, as the post-war managed society fell apart in the 1970s and then was torn apart explicitly post-1979 by the Thatcher Government. Subsequently, we can observe that the past has risen as a popular, political force in modern Britain. One used by the forces of power and privilege to legitimise their rule of ‘the new few’ and onslaught on social, welfare and collective provision. There is a relationship between this and Labour’s culture of living in the past – one at first very different from the establishment story, but which through time has been interwoven and interchangeable with this problematic, elite version. Look at contemporary Britain. This is a society where the voice of past dead generations seems to matter more than the living. Where the consistent marking and enacting of anniversaries, military contests, conquests and struggles, feels as if it accelerates by the day. Next year we have ‘the big one’ of anniversary celebrations, by chance in the same year as Scotland’s independence referendum. On June 6th, there is the 70th anniversary of the D-Day landings, on July 28th, the 100th anniversary of the onset of the First World War, and on September 1st, the 75th anniversary of the beginning of the Second World War, arguably, the last British ‘good war’. It seems that while Labour is still shaped by the past, it has forgotten even the totemic symbols and emblems of its own history, while being taken hold of by the British state story of events. Ultimately, it is a terrible place for a party of the centre-left and social democracy to be. In short, something profound has happened to the idea of ‘Labour Britain’ and ‘Labour Scotland’, which the party barely understands. Once upon a time, Scottish Labour became a party of instrumental unionism, by which I mean, not the notion of the union as the be and end all of everything which was the Tory variant, but of the union as a means to an end – that end being the end of exploitation and the triumph of solidarity. As the United Kingdom has become this ‘global kingdom’ of inequality, insecurity, winners (and losers) and new elites, this has become an almost impossible story to tell. Near to impossible. This has led to Scottish Labour slipping its moorings from this qualified, pragmatic, progressive unionism, and ending up arguing for the union as an end in itself. This is a complete cul-de-sac for a progressive party, because to take just one fundamental, it entails colluding with the dominant Tory account of Britain. A different Labour politics in the current state of Britain would be difficult. 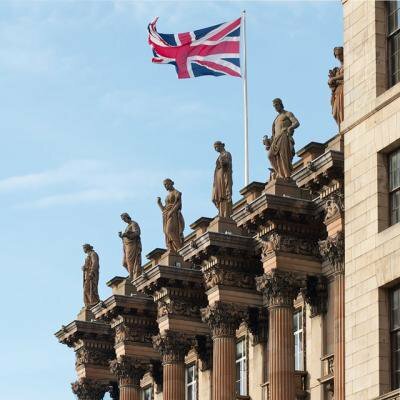 It would have to flesh out an instrumental unionism that first addressed the challenges of resurrecting a progressive Britain, and second, put forward a Scottish dimension in the leadership. This approach would engage with the left, progressive and socialist arguments for independence and self-government, and openly say that we understand why widespread groups of what used to be natural Labour territory now have such a problem with Britain. That of course is a world away from Scottish Labour today, which can be characterised as a mean minded, petulant, uncomprehending, “We’re not having it” approach. It is a sad state of affairs, and one which has consequences for the wider body politic of Scotland. Many of us who want to nurture and advance a socially just, fair, egalitarian, inclusive, green Scotland and know the challenges involved in that, are having to do this while Scottish Labour snipes at the sidelines, excluding itself from much of the national debate. This could be a generational shift. Many assume that a Scottish Labour politics could be rejuvenated by a ‘Yes’ vote, while the party thinks its future will be shaped by a decisive ‘No’ vote. In reality, the future of Scottish Labour and Scotland is being created in the here and the now.